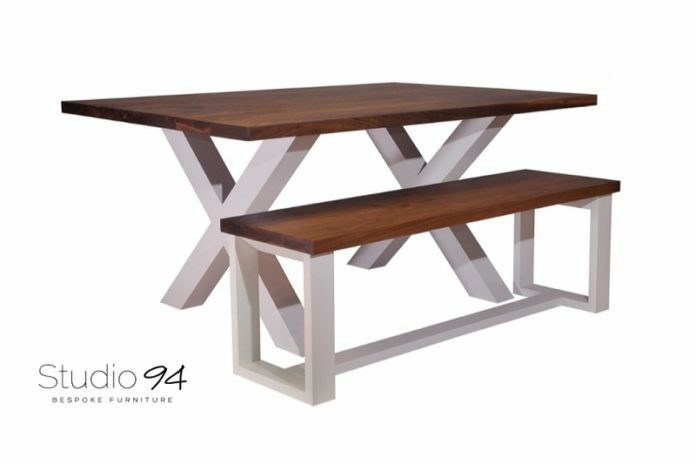 Studio 94 is the woodwork shop of Chicago-based Nick Kopp, who creates handcrafted, bespoke furniture and home decor and specializes in custom pieces. 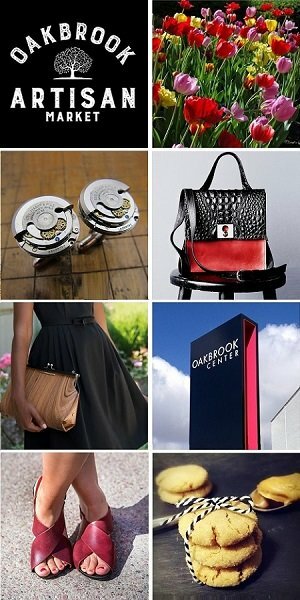 We are excited to welcome Nick and Studio 94 the Oak Brook Artisan Market at Oakbrook Center on Sat & Sun, May 18-19, 2019. This 2-day outdoor market showcases the Midwest’s finest artisans in fashion, food, home goods + art. Creating something new, both durable for years to come and timeless in design, is the mission of Studio 94. Before putting pen to paper for his design ideas, Nick thinks a few decades ahead. Will people still love the pieces 50 years into the future? What materials will best suit the air and temperature? While Nick gives a nods to more classic shapes and silhouettes, he applies certain modern element to everything he creates. Above all, his art form is about ergonomics. Handcrafting custom furniture allows for endless opportunities – from wood type and color, to size and shape – Nick works with his customer to design and build a piece that will fit into your life for years to come. His work has included headboards, tables, chairs, sink vanities, cabinets, side tables and more. Nick always told himself that he would find a career and then eventually retire, becoming the old man who spent his days in his wood shop making furniture and other projects. After high school graduation and with plans to be an architect or an engineer, Nick had no joy in the thought of all the schooling required. He realized he was always happiest creating and building functional art and furniture. 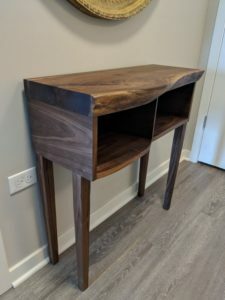 With a kick-start education from the Chicago School of Woodworking, and a few great mentors to guide him along the way, Nick decided to make his passion his career.